PURCHASE 3 DOZEN PRO V1 OR PRO V1x™ AND RECEIVE 1 DOZEN FREE. Great Golf Special Offer and a super Gift Idea in time for Mother’s Day / Father’s Day! 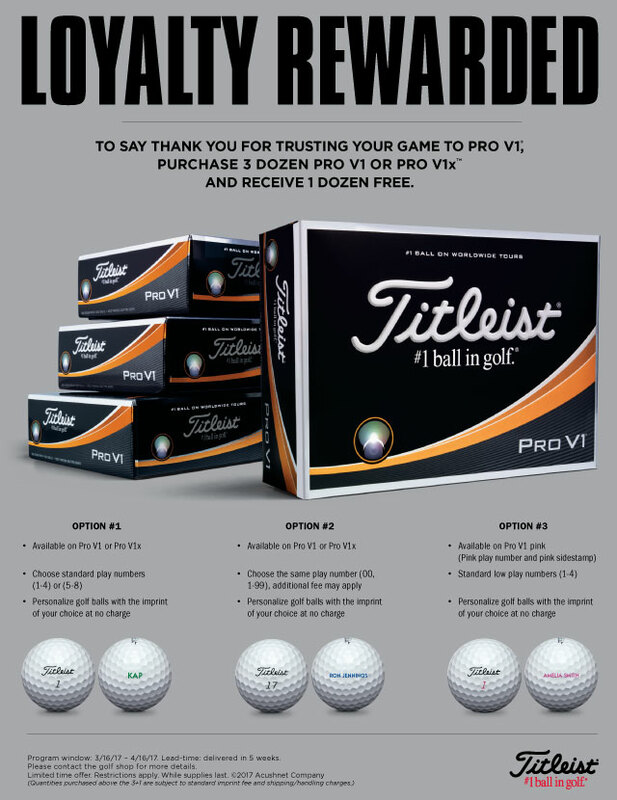 Buy 3 Dozen Titleist Pro V1 or Pro V1x and Get 1 Dozen FREE. Stock up just in time for golf season! Three great options to choose below – with personalization. Available to order at Chesapeake Bay Golf Club’s Rising Sun Course Pro Shop. Program window: 3/16/17 – 4/16/17. Lead-time: delivered in 5 weeks. 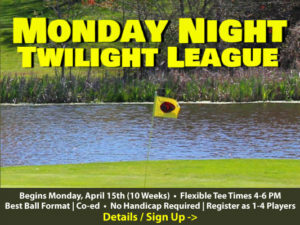 Please contact our Pro Shop for more details and to purchase. Limited time offer. Memorial Day Weekend Pro Shop Sale! 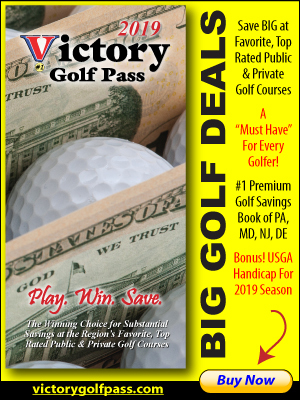 2019 CBGC Pass is Back!